Okay so they are not actually Jos Louis's brand, but All But Gluten beat them to making the gluten free snack! So apparently these have been out fr some time, but Amanda and I hadn't seen them until May. So we obviously had to try it! And I don't have to drag on this post to say that these All But Gluten "Chocolate Snack Cakes" aka Jos. Louis, are really good and really worth the purchase. Did I mentioned they come in vanilla as well? 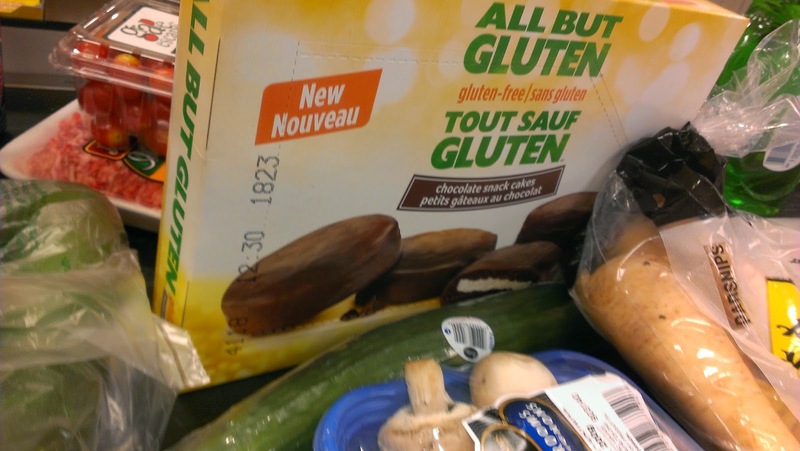 All But Gluten is a owned by Loblaws and distributes their products not only at Loblaws stores, but they branded these away from the PC Brand so they could be sold at other supermarkets like Wal-Mart.